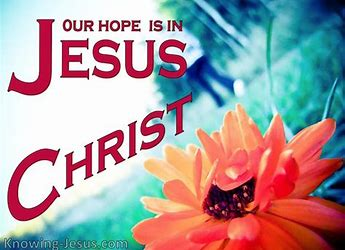 If in Christ we have hope in this life only, we are all of people most to be pitied." - 1 Corinthians 15:19. I pray for you to change so many things in the here and now. I seek happiness that comes from relief from suffering and success over struggles. I long to see you act in full view of my five senses. But if you rescue me only for temporary safety, my prayers and your responses are pitifully small. Instead, you give me hope that redefines my whole life and all of my prayers. You come to give me life that never perishes. I have hope in you that will never disappoint me. My life is richer today when it is lived as part of the eternity that is already mine. With a heavenly view of my present life, everything takes on different meaning and purpose. Cure me oh Christ, from the eternity amnesia to which I often fall victim. I trust you will answer my daily prayers. But I also trust that if your answer is "no" to any earthly plea, that you still have my seat reserved on the bus to heaven. Jesus came to fix my biggest problem and then to work every other problem for my good. Not until I believe this one dual sided truth can I even begin to understand the meaning of his life or mine.